How many of you watch any of the Real Housewives shows? Ok, what about Basketball Wives… did any of you catch that while it was still on? Well, being as though it was was one of VH-1’s most popular reality shows to date, I would venture to say more than a few of us are tuning in weekly to take a look. Yesterday…I celebrated my 14th wedding anniversary. YAY!!! God is so faithful. Amidst our personal struggles, flaws, sins, and discrepancies, God STILL sees fit for a marriage…full of all it’s ups and downs, to glorify Him. In the present age of the word WIFE being thrown around like a hot potato..used on shows like the one I described above to describe “wifeys” (the new age word for baby mamas, engaged women, girlfriends, and even women who are in relationships with married men), I figured I would speak on behalf of the REAL… I said REAL WIVES out here. This blog is simply meant to give a re-focus to those that have allowed the super pop-culture propaganda of American media to slant the truth. Marriage is not only a LEGAL instiution which is recognized by the state, but also a covenant between you, your spouse, and God. Marriage is an awesome way to show God how much He means to you, by how you love one another. Sharing your life with someone who you love with all your heart… someone who wants the best for you… someone whose mere presence in the room makes your day brighter… someone who respects and prays for you… someone who is supportive of your goals and dreams… someone who encourages you… and let’s not forget someone who you can make love to and it is OKAY with God!!!! (smile). So today, single ladies… if you’re looking to be attached, please recognize the difference between being a wife and a wifey and strive to honor God in what you become. Don’t look to the examples of these so-called REAL HOUSEWIVES on television. Look to God’s word. Every scenario…every question you have, within is the answer. That is a promise. Be open to the answers you receive b/c often times, they go against what our flesh wants. But take comfort in knowing that God does not lie and He is who He says He is. So, take every word of His word very literally and allow it to minister to your life and your marriage. Marriage is about faithfulness. It is about love, respect, and adoration. It is about working through hard-times and praising God for the good. It is about encouraging one another. It is about accountability and forgiveness. It is about joy and peace. It is about being on one accord. It is about raising children up under sound Biblical teaching. It is about being an example to others by showing the POWER of God through your marriage. It is not about selfish ambition but about honoring God in all you do separately and together. This entry was posted in Wednesdays with iNDIGO and tagged basketball wives, christ, God, husband, indigo, indigoinspires, inspiration, Jesus, marriage, pop-culture, real housewives, wife, wifey. Bookmark the permalink. 12 Responses to WIFE OR "WIFEY"? love it… my Pastor says “you can’t be what you can’t define.” The single ladies, including myself, need to study what it means to be a wife before we can properly fulfill that role. Of course, you continue to learn as you grow in your marriage but some of us need get the basics right now!lol! Can I get an AMEN…Congratulations on 14 years of marriage. I wish that everyone who is married or thinking about getting married would read this. Marriage is until death due you part! WOW love it! Indeed B. Study to show yourself approved! @Mr. Jones: I appreciate the kind words. Please share this blog with all the people you know who may be blessed by it. The support means a lot. Love u 2 Mom Dukes. Wow, thank you for writing this. People are always making up their own rules and trying to justify what they do. All we need to do is “look to God’s word”. It is a blessing to be married to someone who love and respect the Lord. They can truly love and respect you. 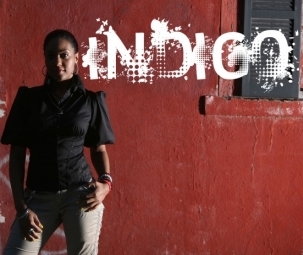 Happy Anniversary Indigo!!! Happy 14th Anniversary to you guys. So glad God placed this on your heart to share. I enjoyed reading it. Love it!! You guys are so inspirational. Happy Belated… Sorry I’m always a lil late! I so enjoyed this communication so many truths expressed. Oftentimes those who walk down the aisle fail to acknowledge that this is only the beginning and signifies the couples intent to enter into marriage, which is a part of their developmental process to lead them into oneness with the God whom has sanctioned their intent to engage in the lifetime of experiences they will have whether happy, sad, easy or hard, etc.,etc. But entered to last til death do them part, as you so eloquently outlined! Luv u and hubby much! AMEN!!! AMEN!!! Congratulations on the Anniversary!!! @ Theresa: Thank you for reading Theresa. I was one of those “make my own rules” types for many years. Thank God for Jesus! He is faithful and I am grateful for His grace. Marriage is definitely a gift from God…a treasure to be valued. @ Jecobi: Praise God! So glad it blessed you!!! Thanks for the anniversary wishes. @ Mikisha: Thank you for your support by reading and your kind words. Please share the news of this site to your friends and family. @ Mrs. Muhammad: Amen to that! Thank you for your continued love & support. @ Mano: I appreciate that bro. Thanx.